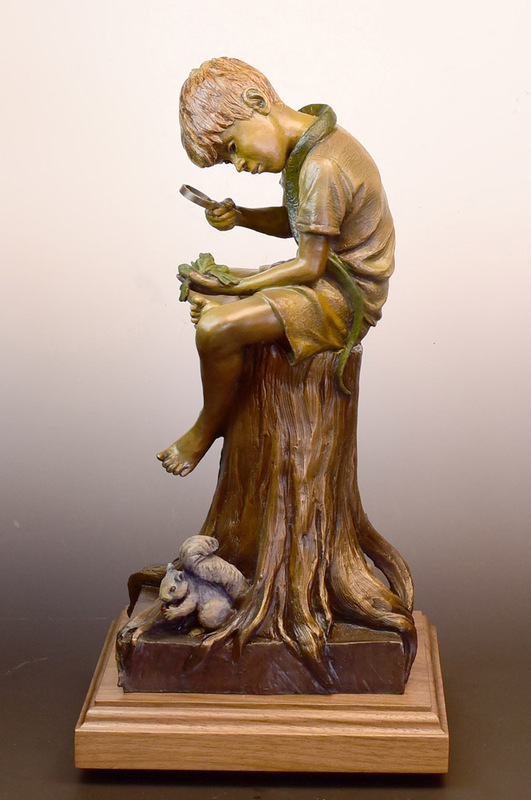 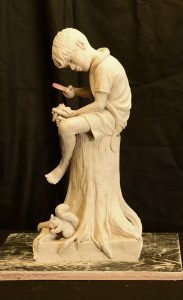 This newly completed bronze typifies the world of an 8 year old boy, fascinated by nature and all of it’s wonders. 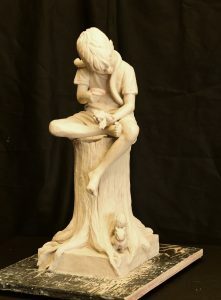 What made it especially sweet for me was using our grandson as the model! 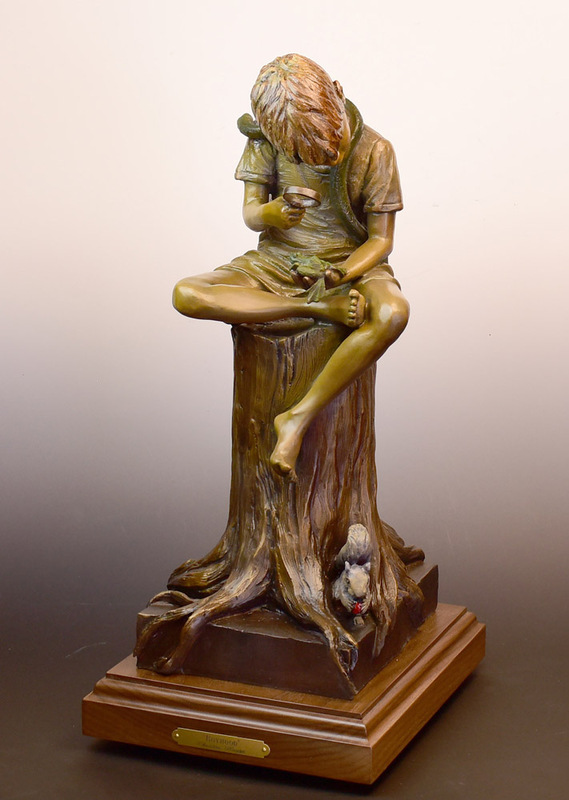 It is a limited edition of 15, and measures 18″H x 8.5″deep x 7.1″W.